Have your say on the future of the NHS. The independent champion Healthwatch Northumberland is urging people to have their say on the NHS Long Term Plan. What would you do? 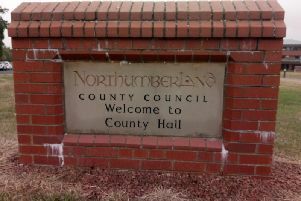 aims to encourage people in Northumberland to share their views about how extra money from the Government should be spent on NHS services. The Government is investing £20billion a year as part of the NHS Long Term Plan. Healthwatch and other organisations are now being asked to explore how services should change to make the NHS work better for people. Chairman of Healthwatch Northumberland, David Thompson, said: “By talking or listening to people who have used them, we get fantastic knowledge and feedback about health services, which we will all have to use at some stage in our lives. “Patients are the experts and everyone has a story to share, whether that’s good or not so good. People can share their views via an online or by speaking directly to Healthwatch Northumberland. Questions focus on local services in the following areas: Cancer; mental health; dementia; heart and lung conditions; and learning disabilities and autism. Healthwatch Northumberland will also be holding two focus groups in April around the areas of dementia and mental health, areas flagged by the public as priority areas in the Healthwatch Northumberland Annual Survey last year. David said: “The NHS only works when the voices of the people who use it are heard. “This is a once-in-a-generation chance for local people to help decide where this extra money from the Government should be spent on our NHS services. “We want to hear from as many people as possible about what works, what doesn’t, and how they think services should be improved. “No matter how big or small the issue, we want to hear about it. Healthwatch Northumberland is the county’s independent health and care champion, which aims to ensure that people are at the heart of care. What people tell Healthwatch will be shared with the NHS and will be used to help develop the Long Term Plan for this area.